Gelatissimo is a global franchise brand with 41 stores in Australia and 15 internationally. Founded in 2002, Gelatissimo is 100 per cent Australian owned. 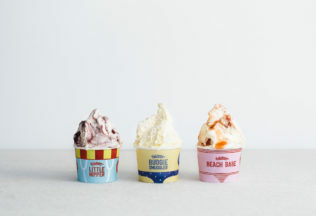 The company has grown into one of the largest gelato franchises in the world, establishing the brand in Australia, Singapore, Philippines, Kuwait and Saudi Arabia. The new flavours are available now until 31 January 2017. Prices start from AUD $4.90 for one scoop, AUD $6.80 for two scoops and AUD $7.80 for three scoops.